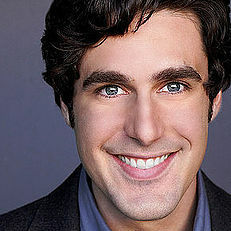 Josh is a graduate of Sarah Lawrence College, where he studied writing and literature. He has extensive experience in tutoring and teaching at many private schools throughout the Los Angeles area, including Campbell Hall, Windward, New Roads, New Community Jewish High School, Bridges Academy, and Westmark. He specializes in working with students who have learning disabilities and behavior challenges–such as Dyslexia, Autism, ADD, and Asperger’s syndrome. Josh also incorporates life coaching skills into his process of working with students, in order to assist with organization, scheduling, executive functioning, time management, social skill improvement, and motivation. Additionally, Josh is an award winning writer and has a strong background in theater, especially Shakespeare, which he studied at The London Academy of Music and Dramatic Art and at the British Drama Academy in Oxford. He has taught Shakespeare workshops throughout the United States with the National Shakespeare Company, and taught Shakespeare on Film and other acting workshops at Windward School. Josh is available for tutoring in the following subject. For more information, click here.